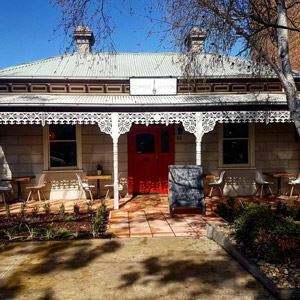 Brimming with traditional dishes, Turkish Delight café and lounge on Mount Alexander Road tempts Essendon locals with exotic bites to eat. 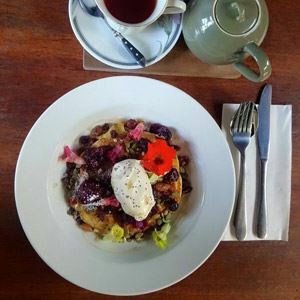 From the hanging, Persian carpet to the simplistic black and white furniture, this café is all about its Middle Eastern roots and family recipes celebrating homestyle cooking. 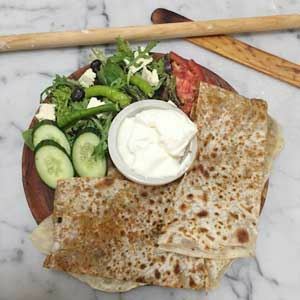 Dine inside or alfresco and enjoy mouth-watering offerings like gozleme, a pastry filled with spinach, leek, three types of cheese, herbs and spices and served with tomato, cucumber, olives, tea and Turkish delight. Dig into the robust flavours of Izmir Kofte - meatballs with potatoes, beans and carrots teamed with rice, salad, tzatziki and bread, or savour lamb skewers with eggplant, onion and capsicum. Should there be room left, delve into sweet Nutella gozleme and fresh fruit.